Hi Andreas thanks for the opportunity to talk to you today, can you try and describe to people what your music is fundamentally all about. I know traditional Norwegian music heritage is very important to you and that strongly reflects in your playing and music. I come from a basic training in rock, blues, pop and world music, and I discovered the music from my own part of the world quite late. 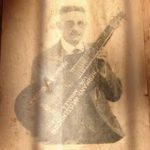 Around the time I turned 30 I decided I would try to look into the songbooks and archive recordings of traditional music from my own area here in Norway, and try to play it on various instruments from the guitar family. My little experiment turned into a total love affair after only a few weeks, and it’s proven to be a task that renews and expands itself continously. I have to admit Andreas I myself only discovered this beautiful instrumental of yours very recently. So I’m sure lots of my readers won’t have heard it before. Tell us the story behind ‘Fang’ and how it started life? I don’t blame you – it wasn’t a record with the heaviest marketing campaign behind it. The tune itself was born in a month-long burst of writing back in 2005. After I’d looked into arranging traditional stuff for a while, I had gradually started noticing little Nordic-sounding ideas popping up under my fingertips whenever I put an instrument on my lap, and I realized it was time to consolidate them into a little batch of original tunes. Several other tracks on the album “Unu” were conceived inside the same month, including a few neo-Norwegian baritone guitar pieces. Has the song got any traditional Norwegian folk roots? I’m half Swedish, and that’s the origin more or less, a polska-like rhythm which I start the piece with. 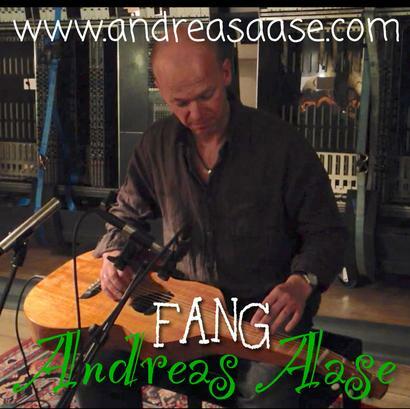 “Fang” is a simpler piece than the really deep Swedish fiddle music it’s inspired by. Listen to performers like Emilia Amper or Per Gudmundsson, and you’ll get an idea about the polyrhythmic, magical qualities that has made this style of music thrive for so long. My general direction at the time, though, was towards simplicity and clarity, and that’s probably the reason the melody line is much simpler than a typical polska. I suppose that’s the artistic license a part-time Weissenborn player can take, the instrument has no place in our traditional folk music at all, so there’s less importance to use it in our society. The title ‘Fang’ is that a Norwegian word or is it just a literal English word for ‘long tooth’. What’s the story behind the song title. No vampire connections here, I’m afraid. “Fang” simply means “lap” in Norwegian. It seems to be splendid “one off” Weissenborn composition for you as sadly I didn’t hear any other solo Weissenborn instrumentals on any of your other albums. Thank you for that assesment of it. 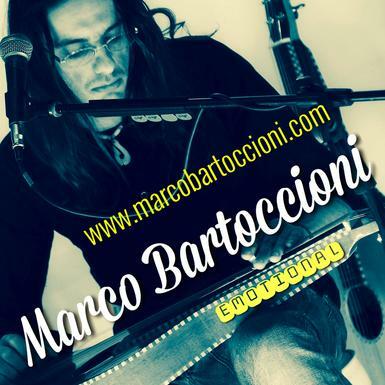 As a matter of fact, the piece was written and recorded towards the end of a period of total immersion into all things lapsteel-related. I suppose David Lindley is the musician who brought this instrument back to the world’s attention after the first Hawaiian craze subsided and it fell into semi-obscurity for a while. So I tried to learn some of his intros and grooves to get a good understanding of the instrument. Needless to say, his ideas and inventions are all idiomatic to his tasteful and specific genius, so any attempt to reach his level and direction of playing would be futile. I had to lay off the instrument for a while to see if an original (and simpler) voice emanated instead, and eventually the two tunes on the “Unu” record came to me. The YouTube video was only recorded and released last year, some 8 years after you released it on the 2006 album ‘Unu’. So what prompted you to record the video and release it so many years after? Life moves in phases, and I’ve been heavily into other instruments for a while now. Specifically, the guitar bouzouki and the mandola, both built by luthier Arnt Rian, have received lots of practice hours over the past ten years. My latest album, “Fir” (release date November 2015) consists of other instruments than the lap steel guitar, but I’ve always been inspired by how my heroes – Pat Metheny is a good example – are able to sort of root for themselves in their earlier incarnations, and play repertoire from their younger days with just as much pride and dedicaton as their new stuff. I had my Weiss lying around when I finished recording my parts for the new record, and decided on a whim to ask my engineer to record this piece, which as you correctly observe has been around for almost a decade now. By the way, I’ve also become little more permissive with “field work” in terms of visual sophistication – though the sound is run through some great ribbon and condenser mikes the images were shot on an iPhone, whereas I’d normally prefer to use a professional camera crew. Sometimes immediacy like this is fun and healthy. Now on the video we see a beautiful Tony Francis Weissenborn style 1, is this your guitar? It is indeed, I’m proud to say. Tony and I have never met but we had the most agreeable e-mail exchange a few years back when we first got in touch. I was fishing around on the various online forums for a luthier-made Weissenborn, and Tony weighed in with some other builders he recommended – it only sort of emerged between the lines that he built guitars himself too! I immediately thought that this “quality-before-competition” attitude was very convincing and honest, I commissioned an instrument from him and was rewarded with prompt delivery and top-notch quality. The guitar is absolutely gorgeous, and I’ve never needed to tweak it or work on it in any way (bear in mind I live in an Arctic climate, so that’s saying something). Its tone is still growing and growing, and it’s a guitar that will be with me for life. I imagine the other guys who play his guitars feel the same. It does beg the question for someone with such an esteemed high end Weissenborn like this and your obvious playing talents why haven’t we heard more Weissenborn music from you. Again, thanks. The guitar is always unpacked in my studio, and is present on solo gigs all the time – I’m sure I’ll make more music on it some day. The fifth-tuned bouzouki and mandola instruments have demanded a lot of my attention lately! What Weissenborn did you use on the original recording back in 2006? It was the only one I’ve owned prior to the Francis – a K&S, with a metal bridge installed by my buddy Charles Freeborn when he lived in Oakland, California. I still own the guitar and have fun with it – it’s slightly more midrang-ey than the Francis and obviously doesn’t have the same warmth and sophistication as a luthier-built guitar, but it’s totally decent for its price range. Do you ever play this song live these days, do you gig with your Weissenborn or is it just a hobby instrument for you at home and recreation? A medley of the two tunes from “Unu” is still part of my live set from time to time and I love playing them – especially since Tony built me his lovely instrument. A cool documentation of that is, in fact is to be found on my facebook wall, where an audience member was considerate enough to post a front-row gig photo and a kind comment recently; a few months later she and her husband went on to win the Nobel prize in medicine/physiology. New Weissenborn fans emerge every day, and from every walk of life! In the basement studio belonging to my previous producer, Gunnar A. Berg, a man who has meant a lot to me. We used a simple setup of two AKG-414 microphones with a direct line blended in for clarity. The video, on the other hand, was done in Øra studio near my home here in Trondheim. It’s a converted port authority building on the waterfront with all sorts of gorgeous audio equipment. The sound you hear on there is untweaked in terms of EQ though – just a touch of reverb was added. What tuning do you use on the track? (Low to high) C – G – C – G – C – E. I stole that from David Lindley. Hopefully, in the sweet spot in the middle where fun meets dignity and the music speaks for itself? But I’d be the last to know. All I can say is that I’ll bet anyone from Sol Ho’opi’i’ to Cindy Cashdollar would recognize the challenge (and those people make overcoming it seem easy as pie). Are there any other Norwegian (or Scaninavian) players you could recommend to my readers that you know play the Weissenborn (I am good friends With Knut Hem and I have already featured him on the site, and I just recently featured Andreas Rydman too). No journey into Norwegian music with the Weissenborn on it would be complete without my dear friends and master musicians Knut Reiersrud (check out his concert recording in Tehran with singer Mahsa Vadat), and Arne Skage, who was the first person I saw in the flesh with a lap steel guitar. Any plans for more Weissenborn instrumentals or videos in the near future? I’ll be making a tutorial website available shortly with traditional tunes from Norway played straight-up on the Weissenborn. My students tend to get fascinated by the instrument, and I’m trying gently to make them bring a few tunes from these shores into their repertoire, side by side with the Americana we all love and cherish. Also, I just started using the Weissenborn in a duo with Knut Reiersrud and I’m enjoying it tremendously. I do quite a lot of short solo appearances on the guitar bouzouki, and I’m working towards another totally solo album on that instrument – Arnt Rianjust built me a smaller, 0018-size specimen and I’m falling in love with it more and more each day. Eventually, I’ll also be doing some work with the quartet from my next record: Steinar Krokstad on drums, Mats Eilertsen on bass, and Espen Berg on piano. I can’t wait! An honour and a pleasure.